Earlier this week, a Monsanto research facility in France was burned to the ground. Monsanto and investigators suspect an arsonist was responsible for the blaze. The fire had multiple points of origin, meaning it is unlikely the fire was caused by an electrical malfunction or other natural causes. Investigators also noticed a strong smell of gasoline in different areas of the site. France announced in June that it was banning sales of Roundup, Monsanto’s flagship herbicide, amid public pressure and the World Health Organization’s announcement that the product is probably carcinogenic. Further, last month the country announced it was strengthening its ban on genetically modified crops. Monsanto is one of the most hated corporations on the planet and faces particularly strong resistance in France. If the fire is confirmed to have been arson, it is possible this vociferous opposition might have been a motivating factor. Nevertheless, the recent fire is merely the tip of the iceberg with regard to Monsanto’s recent problems. The company recently moved to close three different research facilities to save money in the face of declining profits. 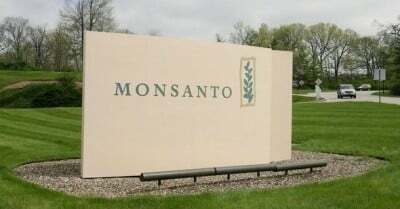 As Reuters reported last week, Monsanto research centers in Middleton, Wisconsin, Mystic, Connecticut, and Research Triangle Park, North Carolina, will soon be closed to cut costs. Last month, the infamous company announced it would be cutting 2,600 jobs — 12% of its workforce — in order to lower costs. Monsanto also announced a loss of 19 cents per share in the most recent quarter. Profits are expected to remain low throughout the year. The Associated Press reported that Monsanto lost $156 million in the final quarter of last year alone, and this year is expected to be even worse.